Mark Nawfal represents clients in the energy industry on a variety of civil and commercial oil and gas matters involving offshore platforms, vessels, and land-based energy projects. Mr. Nawfal joined Looper Goodwine where he could participate in international oil and gas transactions after completing his LLM in Global Energy. 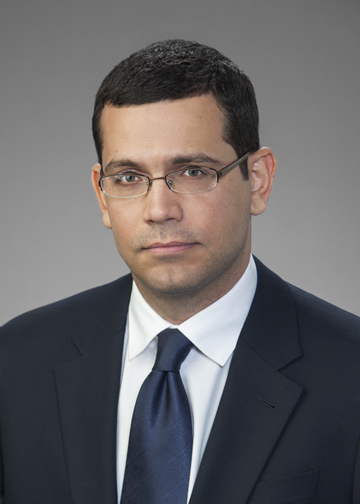 He handles ISDA contracts for derivatives and private equity investment in the U.S. and the Middle East. His commercial litigation experience includes indemnity issues between operators and contractors, breach of fiduciary duty, commercial fraud, toxic torts, international commercial lawsuits for breach of partnership franchise and distributorship agreements. Trial litigation followed by appeal in Germany for breach of contract duties between German and Lebanese partners that led to the dissolution of Drom Camena ( luxury cosmetics producer) branch in Lebanon. Acquisition of two oil field service companies in MENA region representing NASDAQ purchaser. Tax structuring for U.S. investment in Saudi Arabia after 2017 Tax Act changes. Participate in Lebanon International Oil and Gas Summit, organized by the Ministry of Energy. Handled procedures for removing entities from the EPLS (Excluded Parties List System), including research of Federal Acquisition Regulation and Defense Logistics Agency regulation. Analyzed causes of action against the US government under the WTO regime and GATT regime. Advised management on amendments to policy guidelines to avoid exposure under Foreign Corrupt Practices Act and the UK Bribery Act. On behalf of logistics company, negotiated directly with the United Nations World Food Program for revisions to agreement for worldwide ground intervention support (Logistics Emergency Team Deployment Agreement). Incorporated investors into a Lebanese offshore company servicing U.S. State Department contracts in the Middle East. Drafted Joint Venture between multinational bed and furniture manufacturers for the production of mattresses in Saudi Arabia. Representation of the largest shopping mall in Lebanon – ABC sal. Advised on freight forwarding contracts for clients in Middle East and Africa.Negotiated advisory agreements for financial evaluation of large Kuwaiti investment fund and multiple subsidiaries. Represented multinational telecommunications firm in licensing and service contracts for Middle East and North Africa.